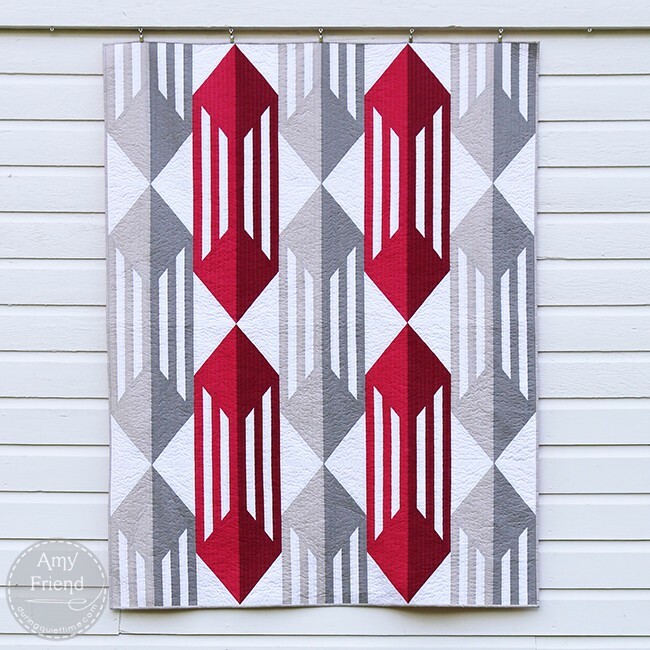 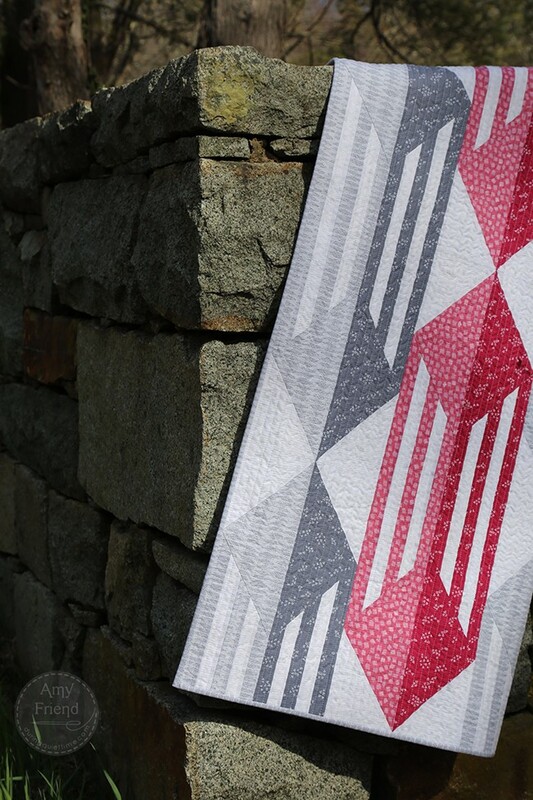 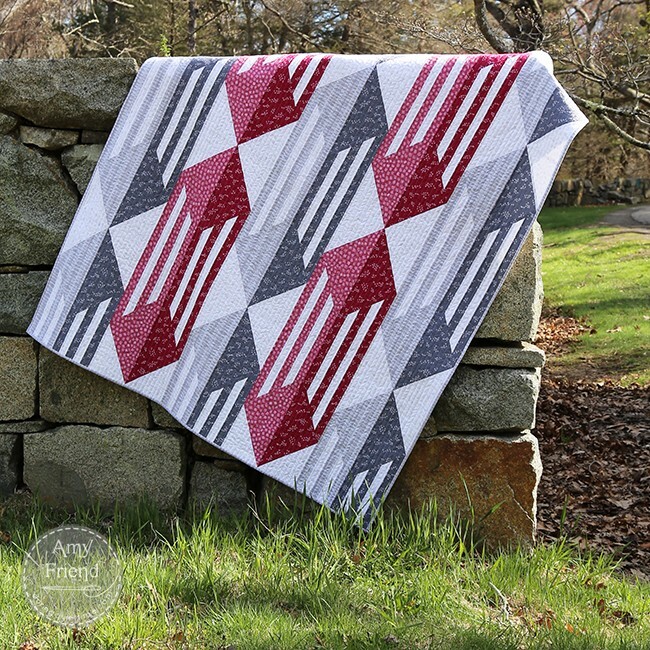 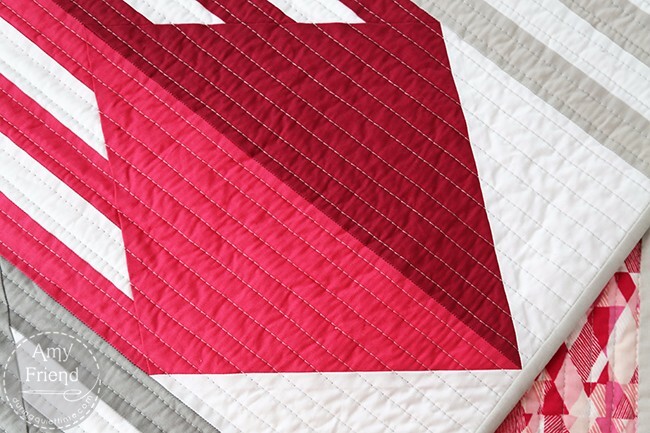 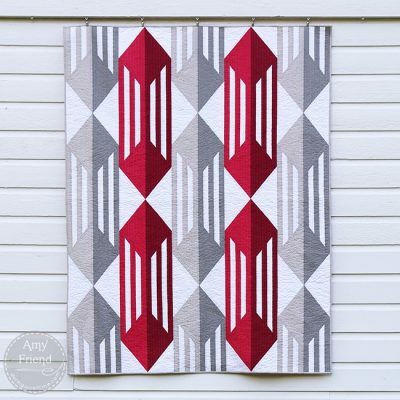 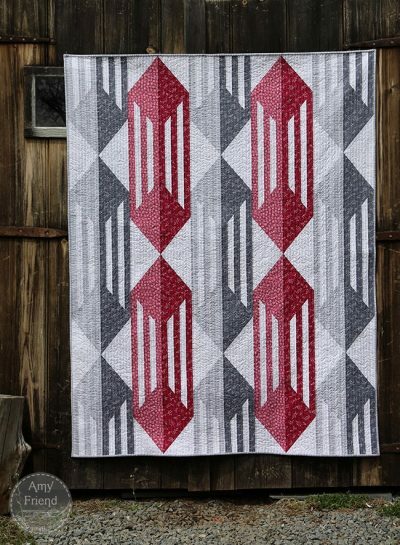 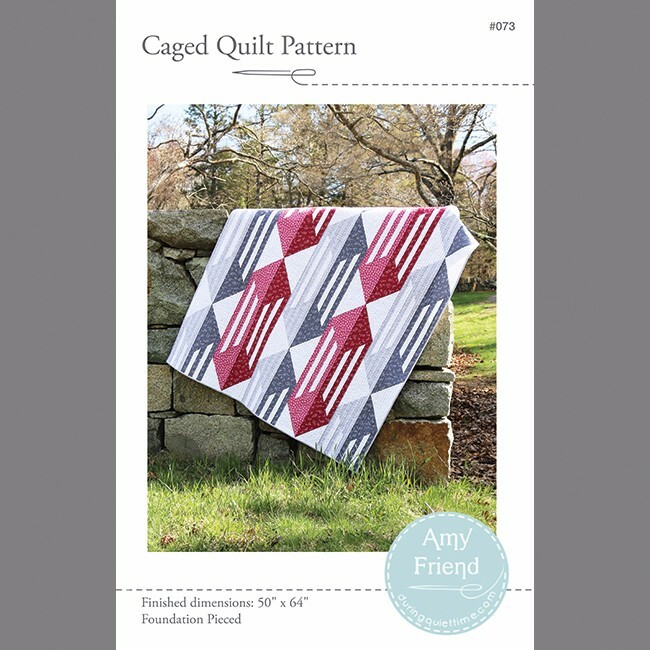 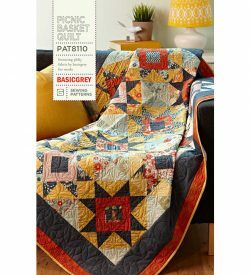 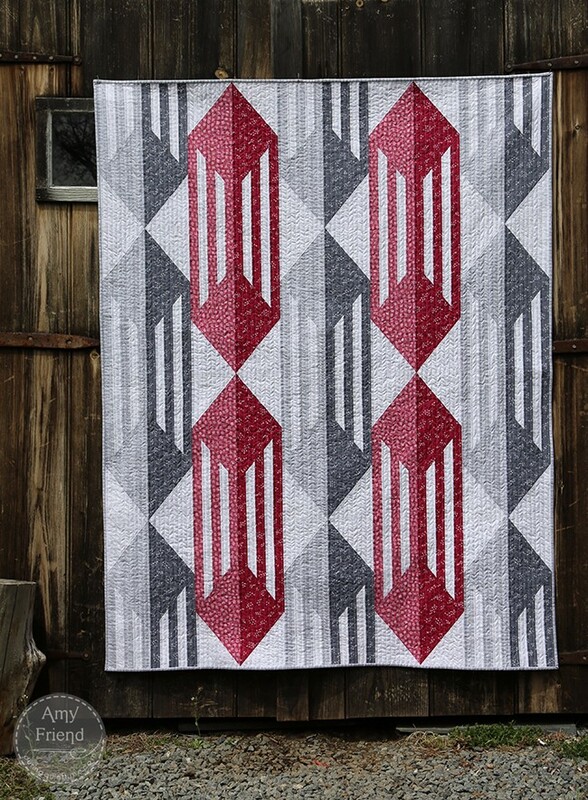 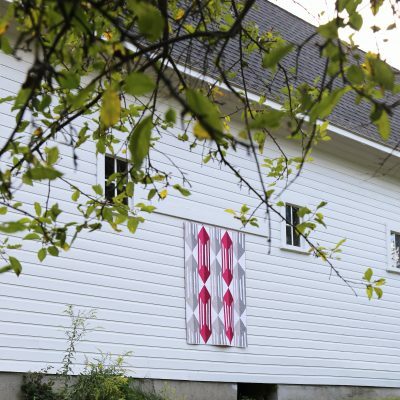 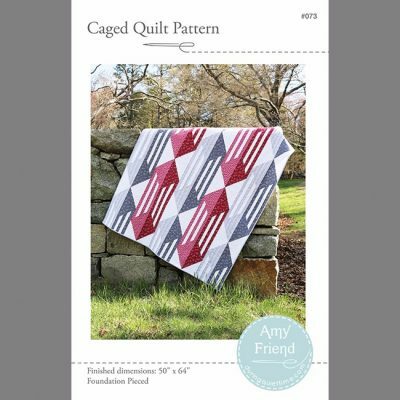 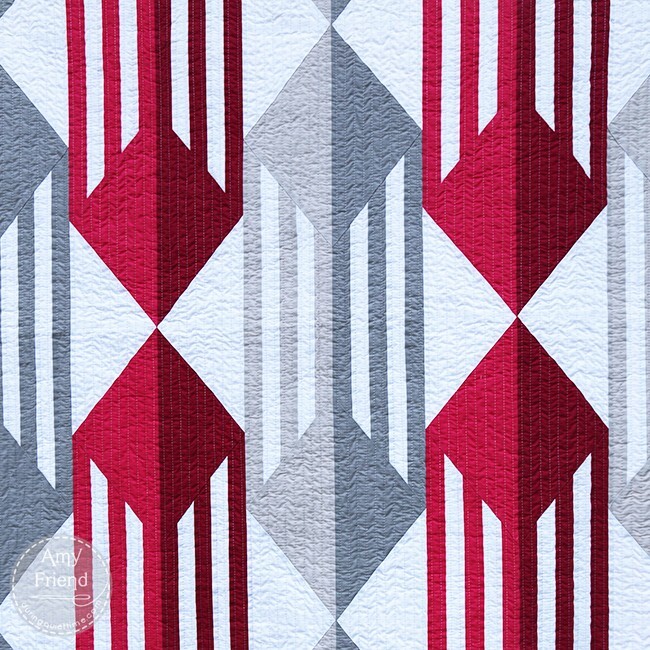 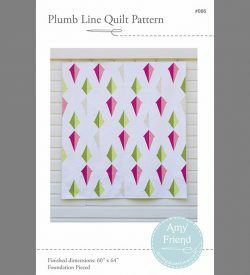 Caged is a bold, modern, paper pieced quilt design. It makes use of careful placement of light and dark to give the geometric shapes a three dimensional feel. 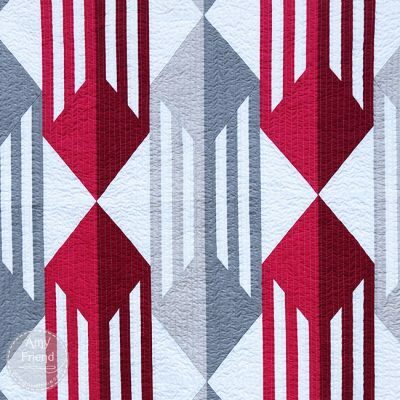 This design works well in solids or prints. One full size template is included. 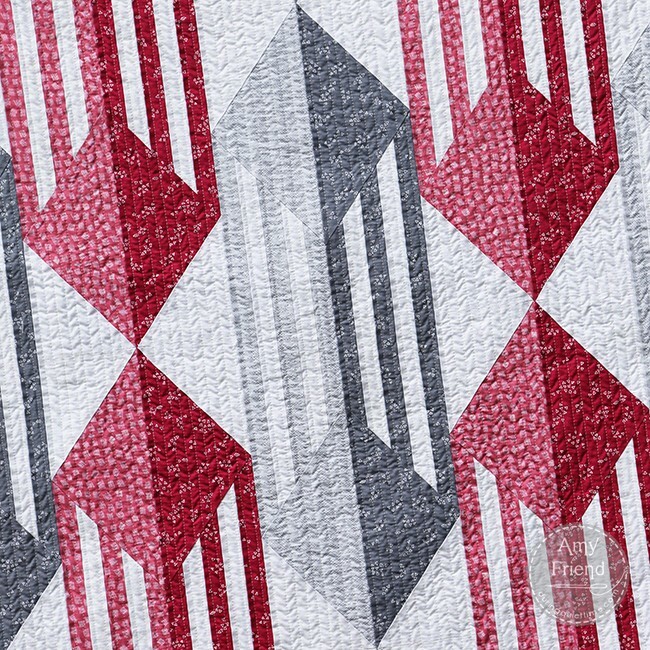 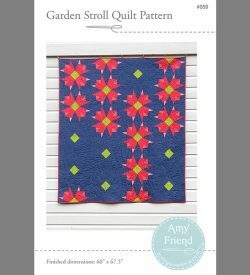 Fabrics used for the cover quilt are Improv by Amy Friend for Benartex LLC.